James Braid (6 February 1870 – 27 November 1950) was a Scottish professional golfer He also was a renowned golf course architect. In 1912, Braid retired from tournament golf and became a club professional at Walton Heath. He was involved in golf course design, and is sometimes regarded as the "inventor" of the dogleg. Among his designs are the "King's Course" and the "Queen's Course" at Gleneagles, and the 1926 remodelling of The Open Championship venue Carnoustie Golf Links. He also designed, or redesigned, many courses all over the world, including Hockley. The James Braid Golfing Society exists to honour more than the legacy of his wonderful imagination that created so many fine golf courses to be enjoyed for generations to come, or his record of five Open Championships wins in the space of a decade that made him the finest player of his day. Or even his wisdom and patient advocacy of moderation as a Founder and later President of the PGA. Braid's contribution to the game was more even than that. 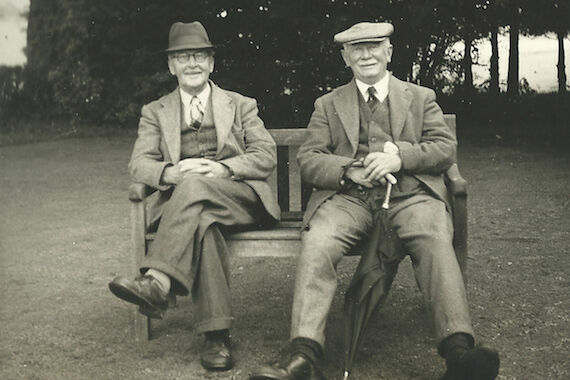 You can visit the James Braid Golf Society using the link at the right of this page.